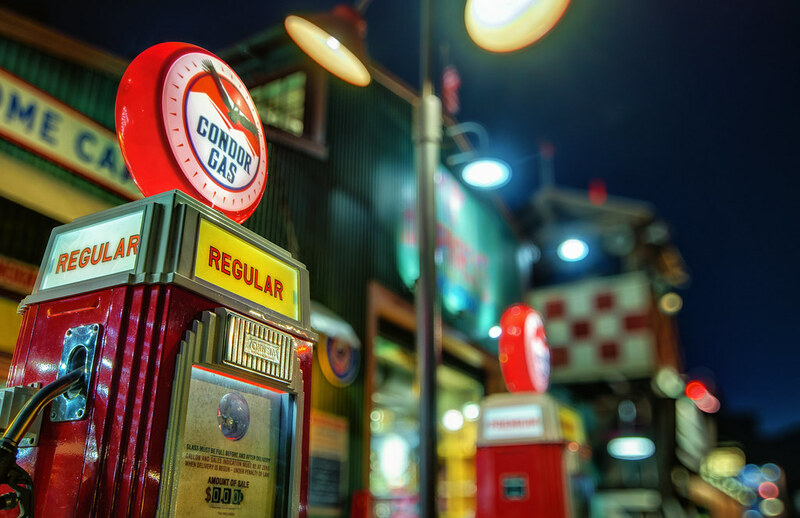 With the recent replacement of Condor Flats with Grizzly Peak Airfield, these old Condor Gas pumps are now among the last remaining relics of the land’s past. But the choice to keep them in place was wise, as they provide an eclectic charm to the newly branded Humphrey’s gift shop behind them that befits the theme. This entry was posted in Grizzly Peak and tagged Airfield, Condor Gas, HDR, night. Bookmark the permalink.